During half-term you can see all the entries for the RHS Budding Gardeners competition. 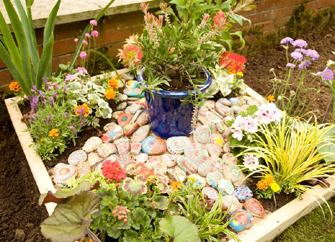 It’s a competition where loads of schools tried to make the best mini-garden. It could only be a metre wide and a metre long so all the entries will be miniature and really creative. Not only do you get to see all the gardens, you also get to vote for your favourite entry. Plus you can enjoy all the other fun activities going on at RHS Garden Wisley like den building and more!